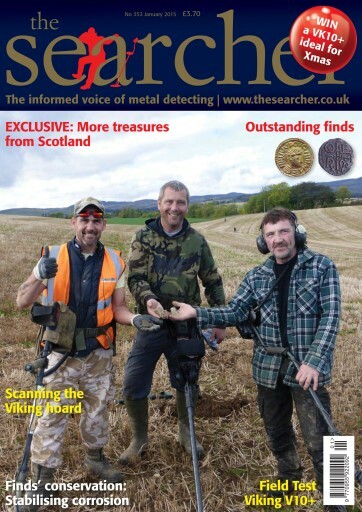 Following on from last month’s EXCLUSIVE on the exciting Viking hoard unearthed in Scotland we follow its journey as the Carolingian vessel is scanned to aid the excavation of its precious cargo. We also have the history behind two outstanding coins: an Offa penny and an extremely fine and rare gold solidus researched by Peter Spencer. There is a field test on an entry level Viking machine the VK10+ plus we also share a productive XP Deus tutorial day when a unique Alfred penny was unearthed and the past part in Brian Read’s Conservation techniques series. Plus of course much, much more!